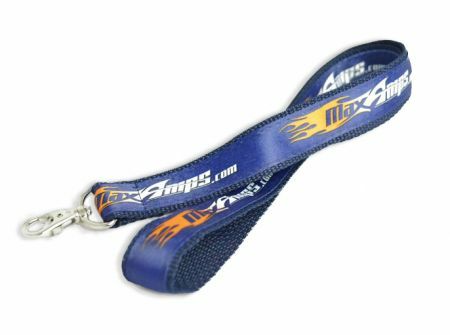 This brand new MaxAmps.com neck strap and lanyard is made of comfortable heavy-duty polyester nylon. Our MaxAmps.com logo is printed on woven satin ribbon for a sharp professional look. The lobster claw style clasp makes it easy to attach to your radio or transmitter. Get one today and fly in style tomorrow!